Microsoft Schools and Microsoft Showcase Schools are a global community of schools engaged in K-12 education transformation to improve student learning outcomes. Microsoft Schools are focused on leading and learning. Schools which are working to consider how to transform education and integrate technology into their classrooms, building and lessons would benefit from joining the Microsoft Schools program. 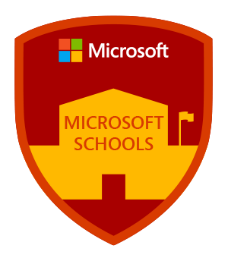 If you are in a school starting to consider how to transform education and integrate technology, we invite you to join the Microsoft Schools program. You can register anytime. Microsoft Showcase Schools are a global community of schools engaged in innovative change to improve teaching and learning using Microsoft’s K-12 Education Transformation Framework. With the support and guidance of Microsoft, Showcase Schools create immersive and inclusive experiences that inspire lifelong learning, stimulating development of essential life skills so students are empowered to achieve more. Showcase School leadership teams are part of a professional community that amplifies the use of technology to drive school-wide transformation and efficiencies. 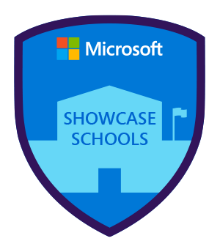 Microsoft Showcase Schools emphasize personalized learning for their students through the use of 1:1 and 1:many learning devices with current technology such as Windows devices, Azure, Office 365, OneNote, Minecraft: Education Edition, and more. Microsoft Showcase Schools come in all shapes and sizes, and each has made a commitment to educational transformation. Despite their diversity, there are common characteristics that define these schools and their leaders. Further explore the Showcase Schools nomination criteria by reviewing the scoring rubric. The school demonstrates thought-leadership in building a school-wide vision as the starting place for holistic digital transformation using Microsoft’s K-12 Education Transformation Framework. The school leader is an innovator, as evidenced through the actions and attitudes of a growth mindset and commitment to the Microsoft K-12 Education Transformation Framework journey. The school leader empowers educators and students to innovate and exercise a growth mindset. The school demonstrates innovative use of technology, using Microsoft solutions, to drive positive impact and student success with 21st century skills. The school leader and educators are learning-leaders who drive efforts to connect with educators locally and globally and share best practices through the Microsoft Innovative Educator and/or Expert program.